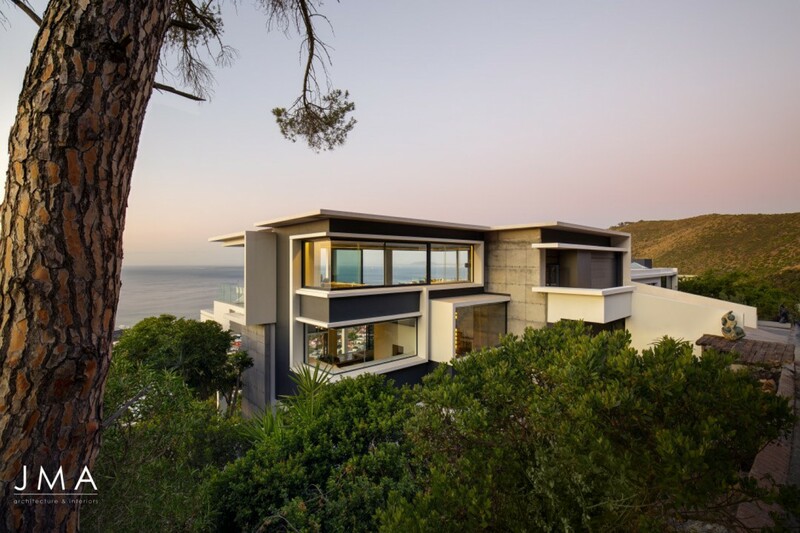 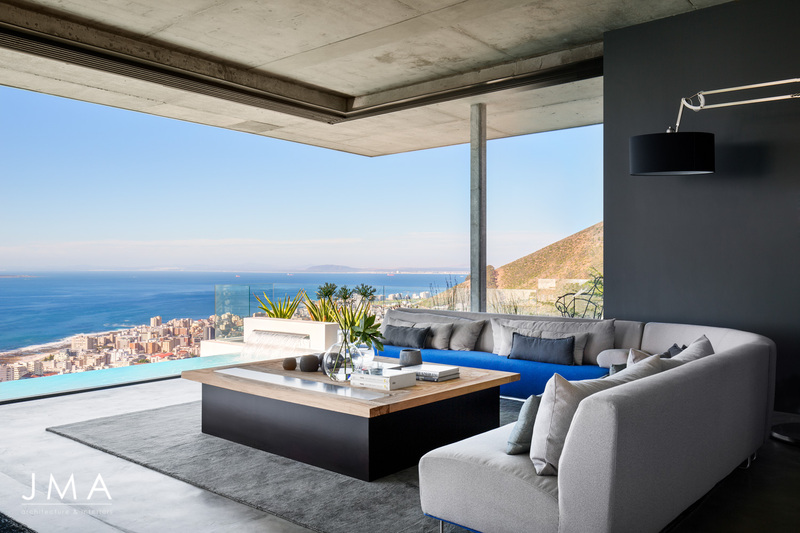 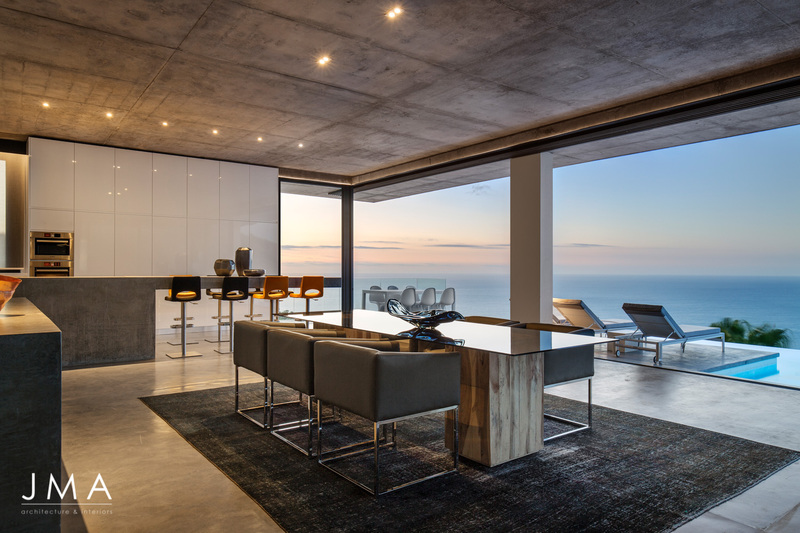 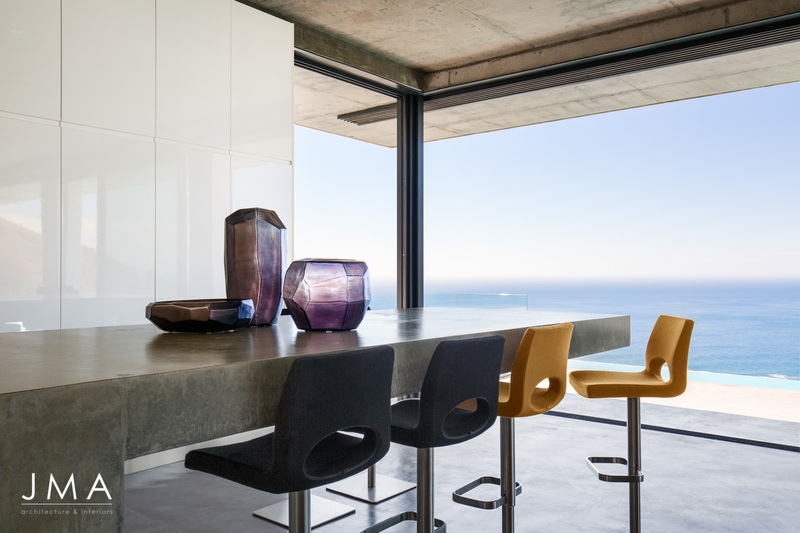 Located on the slopes of Fresnaye, this project boasts Lion’s Head for a backyard and uninterrupted spectacular views of the Atlantic Ocean and Cape Town’s surroundings. The project is an alteration and addition to an existing house to convert it into two apartments, each consisting of two storeys. The top apartment includes a living and dining area on the fourth floor which opens onto a cantilevered pool and deck supported by impressive concrete columns. 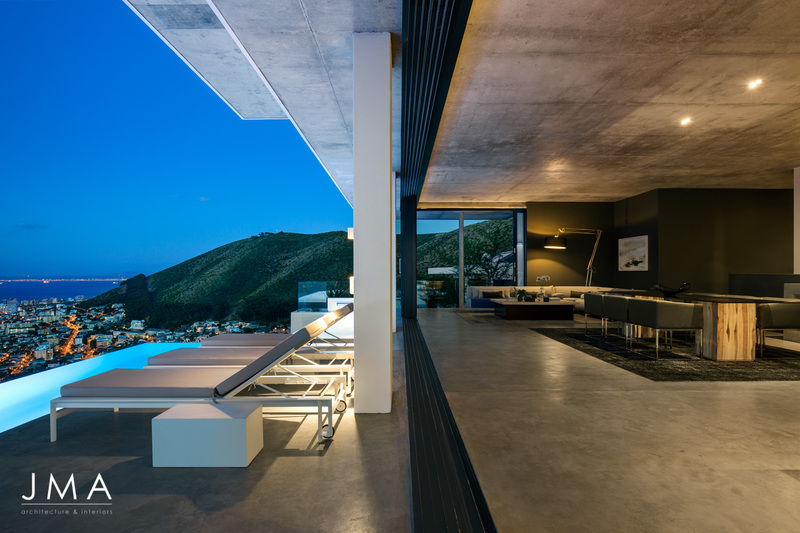 The result is the experience of being in an endless pool of water as one relaxes and enjoys the vast ocean views. 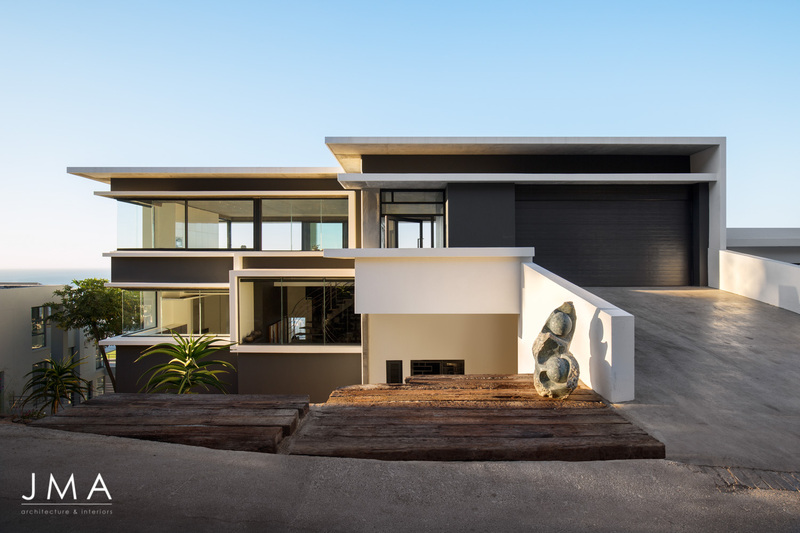 A strong intangible connection between the viewer and what lies beyond is created. 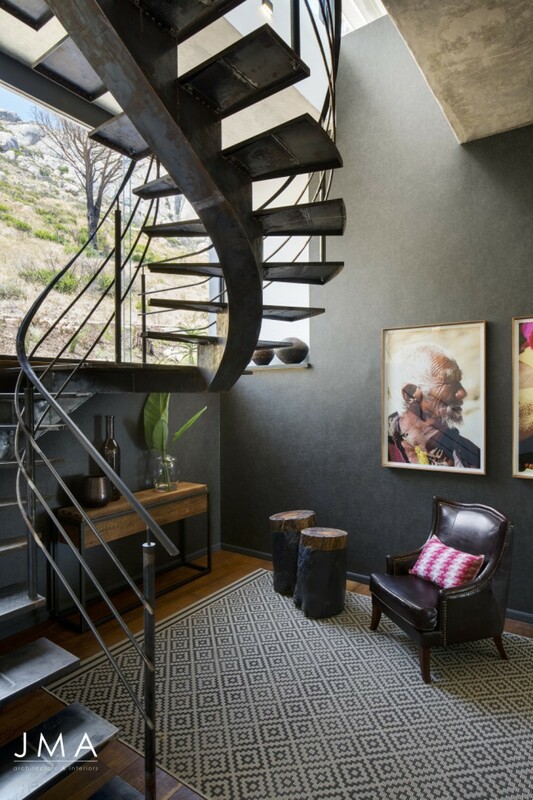 Although the apartments are housed in the same structure, they possess unique and contrasting interiors.